Not all Personal Training is equal. We promise YOU commitment and a genuine desire to help you achieve the change you are seeking. Our facility is fully equipped with Cardio Vascular Equipment, Weights, Pin Loaded Machines, Viprs, TRX and PowerPlates. The clientele make up a warm community of people all working towards their goals. We have many clients here who started with us in 2002, together we create workouts reflecting the bodies changes and needs. 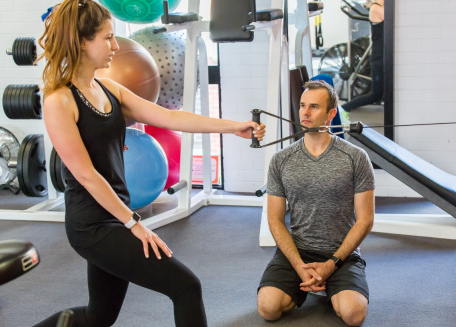 Group Training is extremely popular in the studio, whether it is a group created by you, or whether we match you up to a group. It is not a ‘one size fits all’ approach when it comes to group training. We create a BESPOKE experience for YOU, tailoring programs for the individual even in a group scenario. Group training is a fantastic way of staying motivated and accountable as well as being more affordable.